125 Things That Need to Happen When Someone Dies. In this Episode, Jeff Kasper reviews a list of 125 things that need to happen when someone dies. The purpose of this episode to to give you a motivation to assemble the information and documents into one place, and to have a conversation with at least one person about the location of this information and your final wishes. This list should not be considered comprehensive nor should it be construed as legal advice. However, it is a good place to start your planning and discussions of your final wishes. 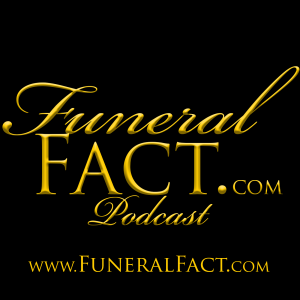 You can download a free copy of the list at our website; http://www.FuneralFact.com Please subscribe and rate this podcast in either the Google Play Music or iTunes store. Don't forget to visit our website at http://www.FuneralFact.com where you will be able to submit questions, suggest possible topics for future episodes and much more.